Just a rock? Or Native American Artifact? While beachcombing on an island off the coast of Maine, I came across a rock, just one of thousands piled along the shoreline. What struck me about this rock was the straight planes and angles, as if a human had cut the rock rather than shaped by natural forces. The rock fit nicely in the palm of my hand. Black deposits appeared on three sides, the fourth side, none at all. Shaped like a wedge, etchings marked the narrow edge. New Englanders told me that some folks collect these rocks, as they are considered lucky because two straight white lines cross each. You can see the “edge” as a worked sequence on the upper edge, and you can see how the hoe was was attached to a handle – the dark staining is from organic material like leather that was used to tie the hoe to the handle. 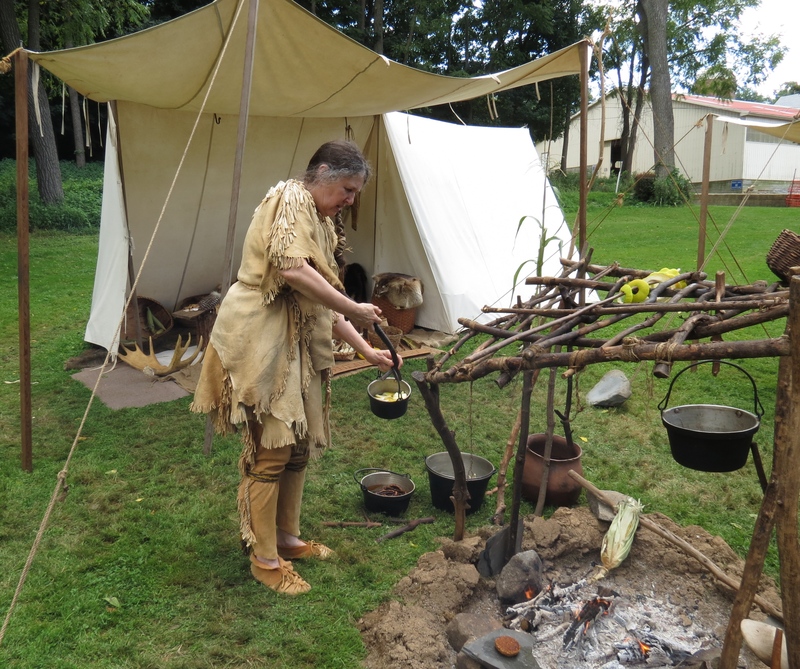 I still wanted to learn more about the rock and came across the Roasting Ears of Corn Festival, Eastern Pennsylvania’s oldest Native American Festival, held at the Museum of Indian Culture in Allentown. One of their many events included a chance for an appraisal of an Indian artifact. Navajo frybread originated 144 years ago, when the United States forced Indians living in Arizona to make the 300-mile journey known as the “Long Walk” and relocate to New Mexico, onto land that couldn’t easily support their traditional staples of vegetables and beans. To prevent the indigenous populations from starving, the government gave them canned goods as well as white flour, processed sugar and lard—the makings of frybread. It seems that frybread has become a favorite at pow-wows and fairs, varying in the way it is prepared in each area of the country. Native American dancing, although energetic, is meditative with the rhythmic drumming accompanying the movements, and I fell under the spell in the soft summer air as I savored the blueberry frybread. Glad I didn’t know at the time could be as much as 700 calories! I have some familiarity with Indian history, having taken a course in Native American autobiography. In a post, My Favorite Book: Condemned by both the Left and Right, I write about the controversies surrounding the novel, Education of Little Tree. Alexie Sherman signed another one of my favorite books, Reservation Blues. I found the Museum of Indian Cultures head curator, Lee Hallman, sitting behind his many collections of arrowheads, displayed in glass cases. Lee examined the rock and stated that it was definitely a tool, possibly a scrapping implement, that it was Native American but not valuable. I had thought that if was important I would give it to a museum in Maine. Lee said it might be worth a dollar, at the most. Well, regardless of the monetary value, looking at the rock, I think about the hands that crafted it. Now that I had identified my rock, time to stroll along the many tents and exhibits. 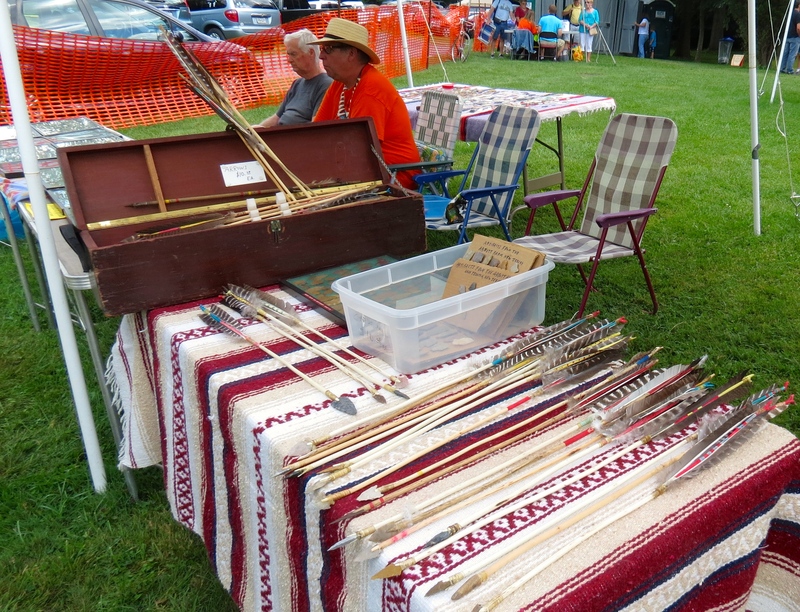 At one of the tents, a musician played a large wooden flute, and the melody was so enchanting, I purchased the CD, Meditation, with the melody, “Love Mountain.” Several vendors were selling CDS so visitors had many choices of Native American music, current and traditional. “Braveheart Meets Last of the Mohicans . . . at Woodstock” is a colorful description of this award-winning Celtic Fusion recording artist and his live performances. 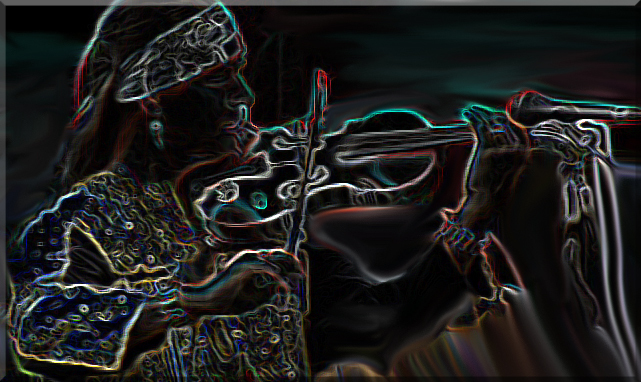 Arvel Bird, a violinist and Native American flutist, is known around the world for his dramatic connection between Celtic and Native American traditions, stirring up scenes that echo from North American memory. Dubbed “Lord of the Strings” by fans and music critics, his music evokes the soul of North American history and is thoroughly entertaining, but also enlightening and humanizing. In a language and experience that captures the hearts of all audiences, he’s emotional without being condescending, intellectual without being pretentious. Given my Scotch-Irish heritage, I felt an immediate connection to his music. A skillful musician, Arvel gifted us with a joyful performance that reflected his passion for the violin. Celtic and Native American ancestral spirits would be deeply moved by his presentation of stories and songs. I especially enjoyed his classical piece, Tribal Music Suite: Journey of a Paiute, a Celtic and Native American Concerto for Violin and Native American Flute, that earned Arvel Best Instrumental Album. I don’t usually believe in lucky charms, but somehow the rock brought me to this inspiring performance. Who cares what that rock is worth? I think it’s great to find something like that, right out of history for you to keep now instead of donating it. I used to look, but I never found – so I’m a tad jealous. Your comment made me think about how this may not have a fluke as I almost always bring back “souvenirs” from trips, rocks, shells . . . even an ox yoke in a pile of discarded lumber . . .https://psalmboxkey.com/a-keepsake-of-family-history-three-stories-retold/a-journey-through-time-family-amp-friends-on-michigans-upper-peninsula/ Well, keep looking down, you might still find something! Thanks for stopping by. BTW, that was an interesting article on your site about the Nazi poster child actually being Jewish. http://pacificparatrooper.wordpress.com/2014/07/28/war-warnings-1/ Poetic justice. Nice post and that definitely is a tool !! It may have been used to scrape out burned wood to make a bowl or even canoe . Natives would make a fire on the wood and scrape out the charred parts then make another one and scrape until they reached the desired depth. I find many stone tools that were used for all kinds of things. Great find !!! The top rock quite possibly was also a hoe attached to a stick. The bottom rock looks like a nut cracker because of its pocket areas. I have one that I use to crack my black walnuts and it works perfect !